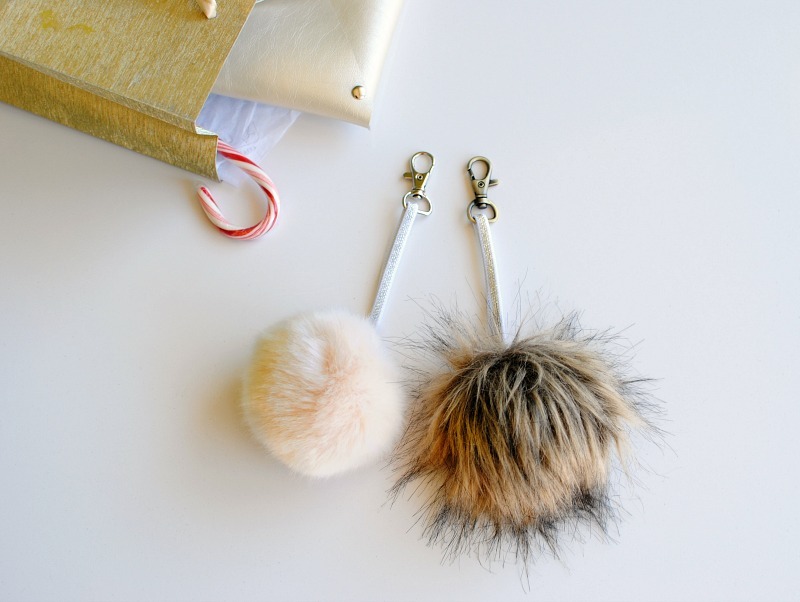 'Tis the season for making gifts and who doesn't love a faux fur pom pom key chain? This is a fun gift for little ones and teens. Or even better make as a group for a Christmas break activity. My nieces and sisters would love this project to create and receive. They're cute stalking stuffers and take less than 30 minutes each. Use Dritz 1/4" Metallic Elastic for a festive spin. 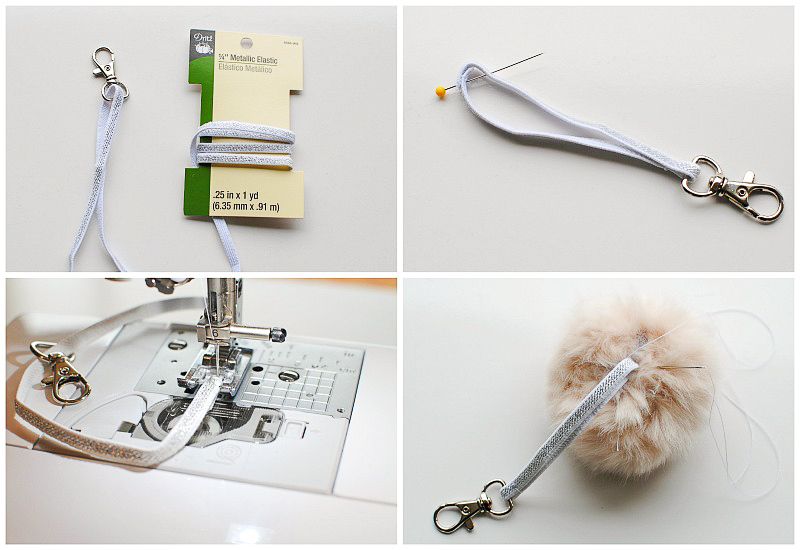 Get the details below on how to make these faux fur pom pom key chains. 1/2 yard Shannon Fabrics Faux Fur: I used their Sable Fur but they have many colors and fur option. Coats Button & Craft Thread (this a heavier thread that is great for projects like this and won't break from the heavier fabric and tugging). Create a circle template. My circle has a 5" diameter. You can adjust the size as you'd like (small to large). 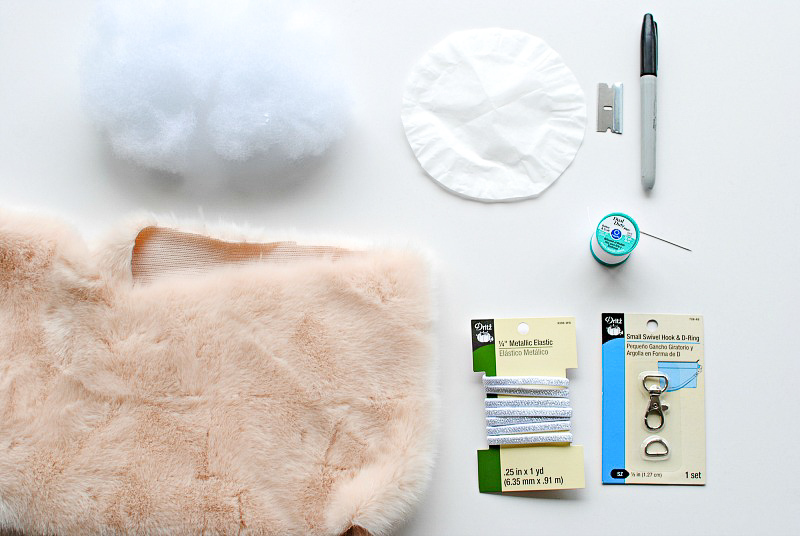 Trace the circle on the back of the faux fur with a marker. Remove with a razor blade to avoid fur flying everywhere. Use a running stitch with a heavier wt. thread and needle and about 1/8" from the edge. Thread should be 3 x the size of the circle. 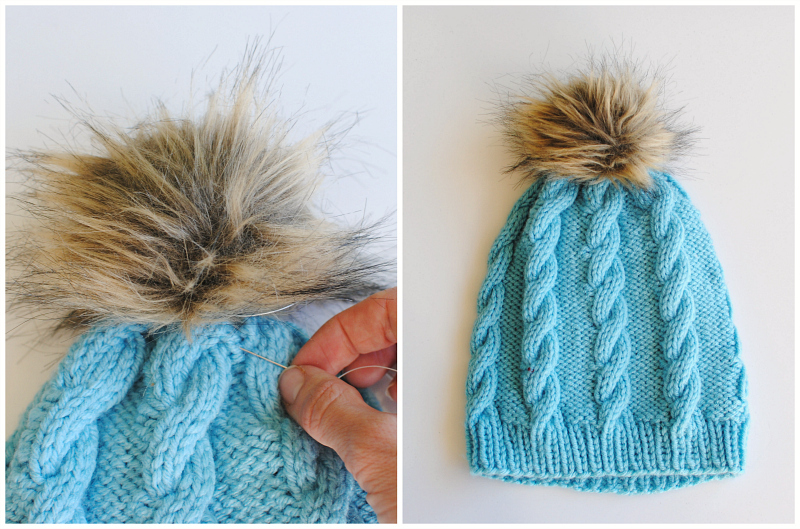 Pull to cinch the faux fur in, don't cut the thread. Add a ball of stuffing. Pull the thread as tight as you can and continue sewing the opening closed to just before the halfway point. Cut a strip of the elastic about 12"
Sew the overlap with a zig zag stitch (or hot glue) a couple times to secure. You also will want to sew just along the folded edge to secure the swivel hook from moving. You can also use hot glue. Place the overlapped edge inside the opening of pom pom. Secure into place by sewing with the remaining thread. Sew the opening closed as well. Knot the thread several times to secure. These are fun to create for many other projects. I like adding them to knit hats too. 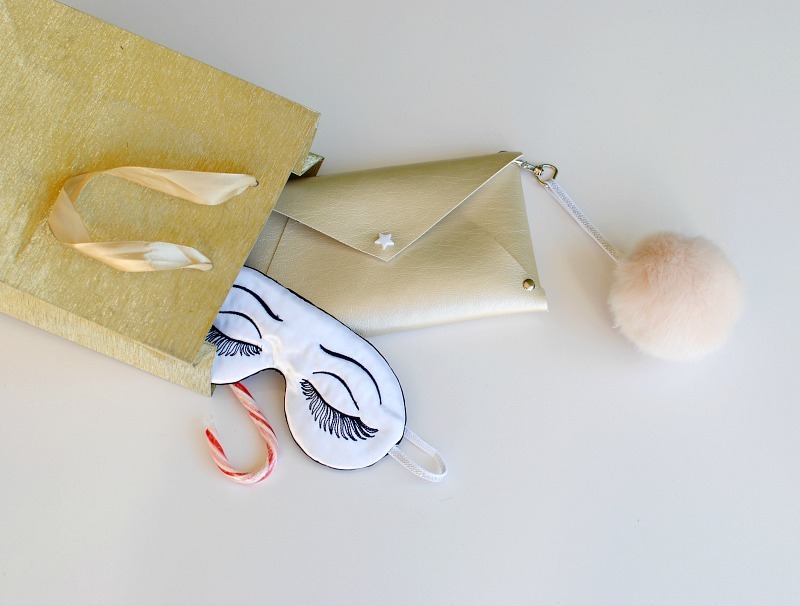 Try the Metallic Elastic on these DIY Sleep Masks for another darling gift idea. Wow fascinating post, please keep posting some related topic as well. Visit our Printer Offline Windows 10 for Printer help, if you need and get support for the Microsoft with Microsoft number. HP Printer Offline is a common problem that usually occurs while printing on a regular basis. Due to having low internet connection on your operating system, such an issue can be arisen. You may start wandering for the technical support of your Why Is My HP Printer Offline related type of query. Despite of wasting your precious time, you should contact to the certified technicians via calling helpline number. Very cute gifts to give to someone; they look extremely beautiful, keep posting about such articles. To all the readers: If you need any kind of repair or installation services in regard to electronics, appliances, gadgets, etc, then you can get in touch with Geek Squad Tech Support, as we offer the best services through the hands of professionally trained agents and provide 24*7 support & assistance to our customers.